Panasonic predicts £5.9bn loss as sales fall | What Hi-Fi? It seems there's little sign of an end to the woes facing the world's TV manufacturers as Panasonic projects that it will rack up a loss of 765bn yen (£5.9bn) in the current financial year. It had previously hoped to make a 50bn yen profit. Falling sales, particularly in the struggling TV division, a strong yen and higher-than-expected restructuring costs led to further losses. Panasonic says restructuring costs are likely to be 11 times what it originally estimated. The firm says that continued uncertainty in the global economy over the eurozone debt crisis and the slowdown in Asian economies, including China, had hurt demand for electronics goods. 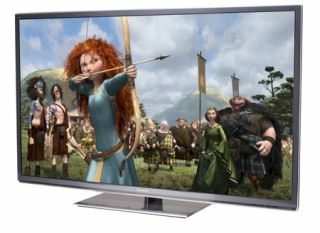 Panasonic to exit TV market? Earlier in the year, Panasonic's chairman announced that the company would be shifting its focus away from the TV market. As we reported back in July, Panasonic chairman, Funio Ohtsubo, said: "We will shift our focus from selling TV sets and other electronics goods on a per-unit basis to marketing various systems and business solutions." Prof Kazuhiro Mishina, of Kobe University, noted that, "Japanese TV makers pushed their U.S. competitors out of the global TV markets before, and now the same thing is happening between Japanese and South Korean manufacturers. History is repeating itself."